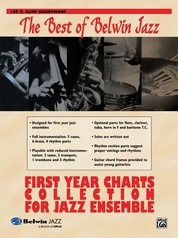 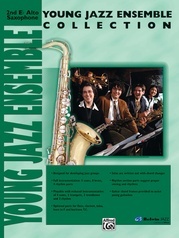 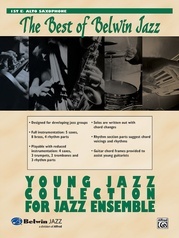 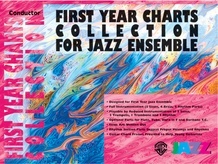 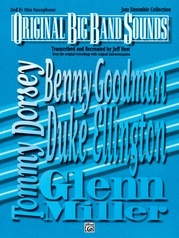 12 outstanding arrangements for the beginning jazz ensemble written by experienced educational arrangers and composers. A variety of styles and tempos are included: swing, ballads, rock, pop, holiday, Latin and a great warm-up chart titled "Loosen Up." 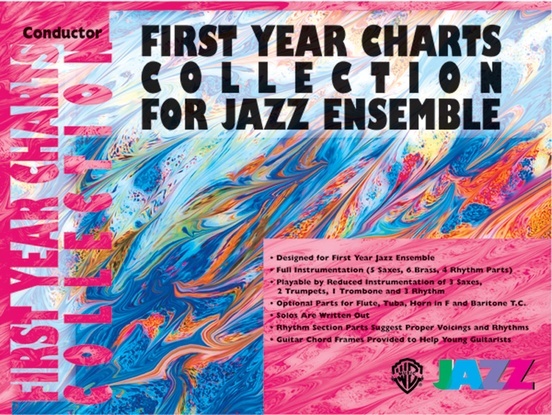 This collection of charts is written for full instrumentation of 5 saxophones, 3 trumpets, 3 trombones, and 4 rhythm, but designed to sound full and complete with reduced instrumentation of just nine players - 2 Alto Saxes, Tenor Sax, 2 Trumpets, Trombone, Piano, Bass and Drums. 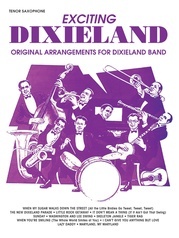 Optional parts are available for C Flute, Tuba (doubles Bass part), Horn in F (doubles 1st Trombone), and Baritone Horn T.C. (doubles 1st Trombone). 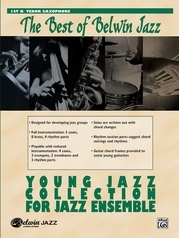 Rhythm section parts offer suggestions for voicings and rhythms and guitar chord frames are included to assist young guitarists. 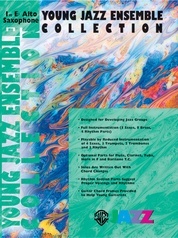 Solos are written out for improvised sections and there is plenty of full sounding ensemble. Conductor's book includes a full length CD recording. 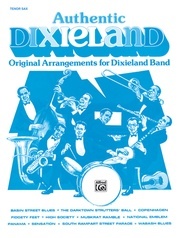 Titles are: Chattanooga Choo Choo * El Gato Gordo * James Bond Theme * A Jazzy Merry Christmas * The Judge * Li'l Darlin' * Loosen Up * One O'Clock Jump * Over the Rainbow * Peter Gunn Theme * The Pink Panther * Rock This Town.